*Our empanada bowls come with your empanada of choice and some good ol' rice beans corn & greens. fried corn patty stuffed with cheese topped with mexican crema, cheese, & hot sauce. A new local food truck with a love for serving the community through our yummy infamous empanadas, community involvement, and low waste practices. We are three proud Latinas cooking up a whole-lotta Latino + American fusion. Here at Mama’s Empanadas we are whipping up our favorite traditional Latino dishes and fusing in some good ol’ American classics. To stay true to our roots, not all of our menu options will be fusion food. Mama loves to share her traditional recipes! AS A LOCAL BUSINESS, WE BELIEVE IN COMMUNITY. 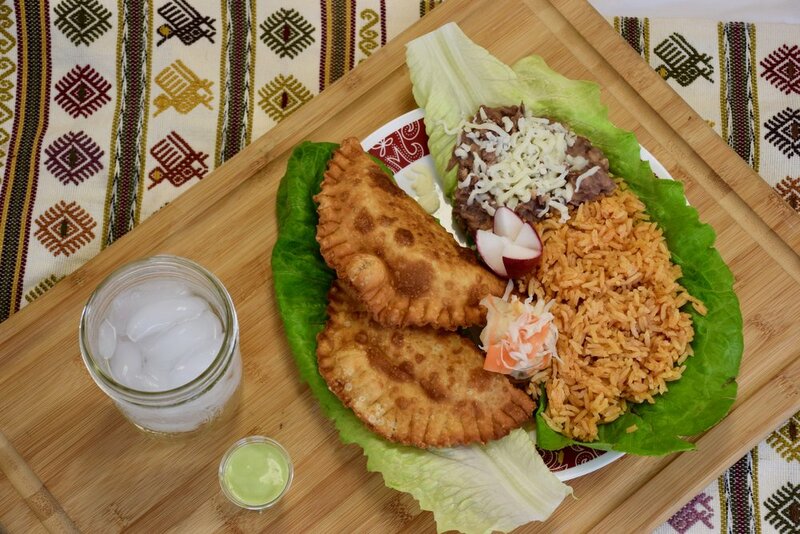 OUR EMPANADAS ARE ONLY A PART OF THE PICTURE. WE WANT TO GIVE BACK THROUGH INVOLVEMENT WITH LOCAL COMMUNITY GARDENS, ORGANIZATIONS, CHURCHES, AND SCHOOLS. FOOD COMES FROM MOTHER EARTH, SO TAKING STEPS TOWARD BEING A MORE SUSTAINABLE BUSINESS IS ALSO IMPORTANT TO US. MAMA’S EMPANADAS STANDS BEHIND GOOD FOOD, COMMUNITY ENGAGEMENT, AND SHARING OUR LOVE FOR LOW WASTE. Click on any below date for information on where to find us on that day.